Character actor Stephen Lee has died of a heart attack at the age of 58. The tall, heavyset Lee was the kind performer who never landed the big, breakout roles in his movies, but he often made a strong impression with characters on the margins. He was a memorably convincing Big Bopper in the 1987 Ritchie Valens biopic La Bamba—funny and engaging, but also sweaty and anxious, as if a little voice in his head was telling him not to get on that plane. In 1990’s RoboCop 2, Lee worked that combination of goofiness and anxiety some more as the corrupt, drug-addicted Officer Duffy. Over the course of a film career that spanned three decades, Lee’s other film appearances included WarGames (1983), the Stuart Gordon horror pictures Dolls (1987) and The Pit And The Pendulum (1991), and The Negotiator (1998). Lee was also a familiar face on TV, where he had regular roles on a number of short-lived series (Gung Ho, City, To Have & To Hold), as well as recurring roles on Nash Bridges and Dark Angel. 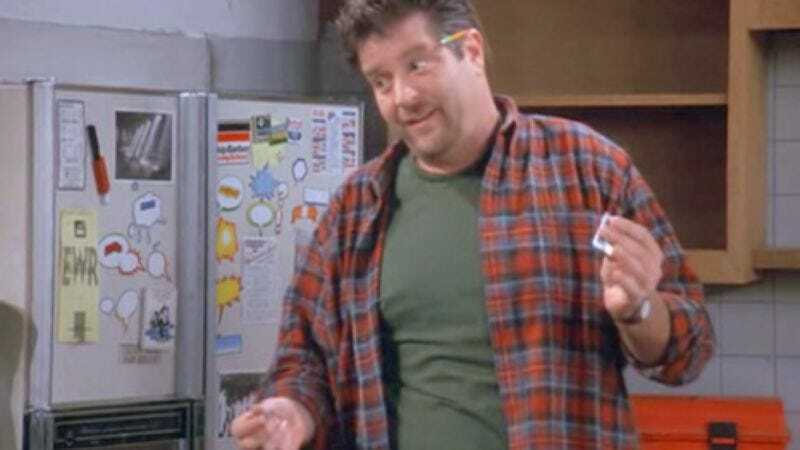 He also made guest appearances on scores of popular weekly series—perhaps most famously Seinfeld, where he played Jerry’s overly solicitous kitchen-cabinet installer. He also starred in a 1991 episode of Roseanne that must have served as useful research four years later, when he was cast as Tom Arnold in the TV movie Roseanne And Tom: Behind The Scenes. Lee’s final on-screen appearance was in 2010’s Burlesque.